Miller was born in Milwaukee, Wisconsin in 1909. He grew up in the Pacific Northwest. His father, Irving Miller, worked at Western Washington University as Chair of the Department of Education and Psychology. His father's position in Neal Miller's words, "may have had something to do with" his interest in psychology. :244 Originally having a curiosity for science, Miller entered the University of Washington (1931), where he studied biology, physics and also had an interest in writing. His senior year he decided that psychology would allow him to pursue his wide variety of interests. He graduated from the University of Washington with a B.S. and a piqued interest in behavioral psychology. Afterwards he studied at Stanford University (1932) where he received his M.S. and an interest in psychology of personality. At Stanford he accompanied his professor, Walter Miles, to the Institute of Human Relations at Yale University as a research assistant. There he was encouraged by another professor to further study psychoanalysis. He received his Ph.D. degree in Psychology from Yale University in 1935, and that same year he became a social science research fellow at the Institute of Psychoanalysis in Vienna for one year before returning to Yale as a faculty member in 1936. He spent a total of 30 years at Yale University (1936–1966), and in 1950 he was appointed professor at Yale, a position he held until 1966. 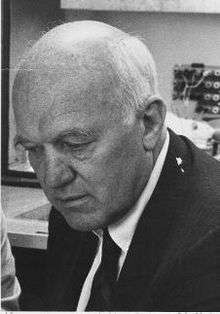 In 1966 he began teaching at Rockefeller University and afterwards spent the early 1970s teaching at Cornell University Medical College. In 1985 he returned to Yale as a research associate. Richter-Heinrich, Elisabeth; Miller, Neal E., eds. (1982). Biofeedback: basic problems and clinical applications. Selected revised papers presented at the XXIInd International Congress of Psychology, Leipzig, GDR, July 6–12, 1980. Amsterdam: North-Holland. ISBN 0444863451. OCLC 10751840. Sears, Robin R.; Hovland, Carl I.; Miller, Neal E. (1940). "Minor studies of aggression: I. Measurement of aggressive behavior". The Journal of Psychology: Interdisciplinary and Applied. 9: 275–294. doi:10.1080/00223980.1940.9917694. Miller, Neal E.; Bugelski, Richard (1948). "Minor studies of aggression: II. The influence of frustrations imposed by the in-group on attitudes expressed toward out-groups". The Journal of Psychology: Interdisciplinary and Applied. 25: 437–442. doi:10.1080/00223980.1948.9917387. PMID 18907295. Weiss, Jay M.; Glazer, Howard I.; Pohorecky, Larissa A.; Brick, John; Miller, Neal E. (December 1975). "Effects of chronic exposure to stressors on avoidance-escape behavior and on brain norepinephrine". Psychosomatic Medicine. 37 (6): 522–534. PMID 711. Taub, Edward; Crago, Jean E.; Burgio, Louis D.; Groomes, Thomas E.; Cook, Edwin W.; DeLuca, Stephanie C.; Miller, Neal E. (March 1994). "An operant approach to rehabilitation medicine: overcoming learned nonuse by shaping". Journal of the Experimental Analysis of Behavior. 61 (2): 281–293. doi:10.1901/jeab.1994.61-281. PMC 1334416 . PMID 8169577. ↑ "APA Award for Distinguished Scientific Contributions". American Psychological Association. Retrieved 26 August 2015. ↑ "Award for Lifetime Contributions to Psychology". American Psychological Association. Retrieved 26 August 2015. ↑ Weiner, Irving B.; Craighead, W. Edward, eds. (2010). "Miller, Neal E. (1909–2002)". The Corsini encyclopedia of psychology. 3 (4th ed.). Hoboken, NJ: John Wiley & Sons. pp. 997–999. doi:10.1002/9780470479216.corpsy0547. ISBN 9780470170243. OCLC 429227903. 1 2 3 4 5 Cohen, David (1977). "Neal Miller". Psychologists on psychology. New York: Taplinger. pp. 240–261. ISBN 080086557X. OCLC 2644614. Reprinted as: Cohen, David (2015). "Neal Miller". Psychologists on psychology: classic edition. Routledge classic editions. New York: Routledge. pp. 191–207. ISBN 9781138808492. OCLC 881146290. 1 2 3 Mook, Douglas G. (2004). "Neal Miller". Classic experiments in psychology. Westport, CT: Greenwood Press. pp. 75–85. ISBN 0313318212. OCLC 56730032. ↑ Haggbloom, Steven J.; Warnick, Renee; Warnick, Jason E.; Jones, Vinessa K.; Yarbrough, Gary L.; Russell, Tenea M.; Borecky, Chris M.; McGahhey, Reagan; Powell III, John L.; Beavers, Jamie (June 2002). "The 100 most eminent psychologists of the 20th century". Review of General Psychology. 6 (2): 139–152. doi:10.1037/1089-2680.6.2.139. ↑ "Eminent psychologists of the 20th century". APA Monitor on Psychology. 33 (7): 29. July 2002. Retrieved 2014-11-07. ↑ Fowler, Raymond (May 2002). "Running commentary: Neal Miller: a giant in American psychology". APA Monitor on Psychology. 33 (5): 9. Retrieved 2014-11-07. 1 2 "An Overview of Neal Miller's contributions". nealmiller.org. Retrieved 2016-08-18. ↑ Ewen, Robert B. (1998). "Behaviorism: controversies and emerging findings". Personality, a topical approach: theories, research, major controversies, and emerging findings. Mahwah, NJ: Lawrence Erlbaum Associates. pp. 230–250. ISBN 0805820981. OCLC 36126540. ↑ Dember, William N.; Jenkins, James J. (1970). General psychology: modeling behavior and experience. Englewood Cliffs, NJ: Prentice-Hall. p. 376. ISBN 0133508439. OCLC 66521. ↑ Nagourney, Eric (2 April 2002). "Neal E. Miller is dead at 92; studied brain and behavior". The New York Times. ↑ Chamberlin, J. (September 2007). "In Brief: Psychologist wins National Medal of Science". APA Monitor on Psychology. 38 (8): 10. Jonas, Gerald (1973). Visceral learning: toward a science of self-control. New York: Viking Press. ISBN 0670747033. OCLC 1258212.